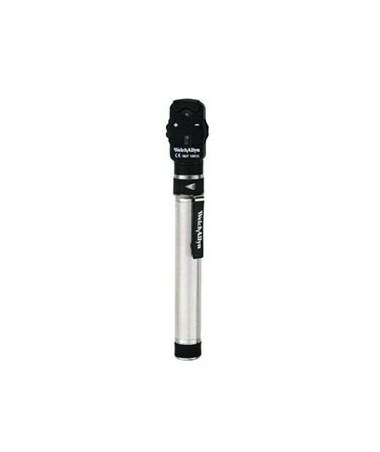 The PocketScope™ with Handle and Rechargeable Battery provides Welch Allyn quality in a convenient pocket size. As you might have guessed, the PocketScope™ fits into your pocket! Please Choose from the Drop Down Above. It is easy to use, lightweight, and perfect for general and specialist use. Take your PocketScope™ with you everywhere you go throughout the day. The Pocketscope features a Halogen light for true color tissue, 12 aperture/filter combinations for greater versatility: micro, small, and large spot sizes, cobalt blue filter for corneal exams, fixation target, and slit aperture (all on a 6-position aperture dial)! With 48 focusing lenses for optimum resolution, long lasting rechargeable battery, the Pocketscope denotes both quality and value. 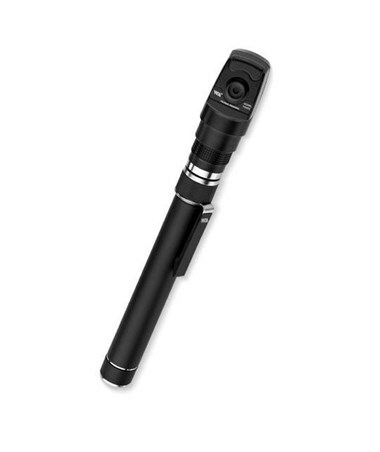 Welch Allyn Pocketscope Ophthalmoscope's compact design and its lightweight feel is an easy choice for discriminating professionals who are looking for high performance in their diagnostic instruments. 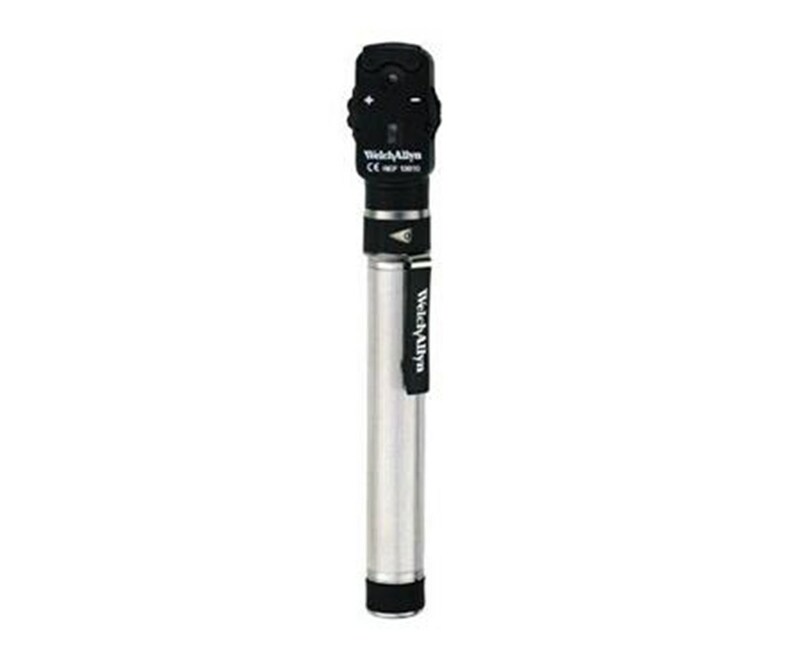 Each Variation's Package includes PocketScope Ophthalmoscope, User Manual and comes with a 1-Year Warranty.